The defense of those using their conscience to uphold humanitarian international law. 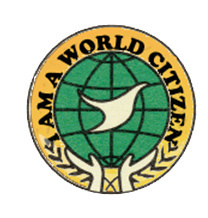 The Association of World Citizens calls for the re-affirmation of humanitarian international law. It is a call to the soldiers and militia members in armed conflicts to refuse orders to violate humanitarian international law by refusing to use weapons outlawed by international treaties such as chemical weapons, land mines, cluster munitions or any weapon to attack civilians, especially children and women. We must defend all who use their individual conscience to refuse to follow orders to violate humanitarian international law. The attack on Khan Sheikhoon in Idib Province of Syria on 4 April 2017 raises at least two essential issues concerning humanitarian international law and the protection of children in times of armed conflict. A major issue is the use of chemical weapons, probably sarin or a sarin-like substance in violation of the 1925 Geneva Protocol for the Prohibition of the Use in War of Asphyxiating, Poisonous or other Gases, and of Bacteriological Methods of Warfare of which Syria was a party, among the 135 governments which have signed. The attack was also a violation of the Convention on the Prohibition of the Development, Production, Stockpiling and Use of Chemical Weapons and on their Destruction which came into force in 1997. The Convention created The Hague-based Organization for the Prohibition of Chemical Weapons (OPCW). 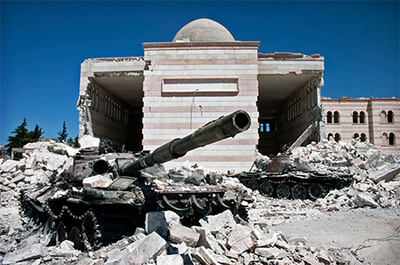 Syria signed the Convention in 2013 as part of a compromise decision to have its chemical-weapon stock destroyed. The use of poison gas strikes deep, partly subconscious, reactions not provoked in the same way as seeing someone shot by a machine gun. The classic Greeks and Romans had a prohibition against the use of poison in war, especially poisoning water well because everyone needs to drink. Likewise poison gas is abhorred because everyone needs to breath to live. There is a real danger that the Geneva Protocol of 1925, one of the oldest norms of humanitarian international law will be undermined and the use of chemical weapons "normalized". The Organization for the Prohibition of Chemical Weapons is already investigating the use of chemical weapons in seven other locations in Syria. Chemical weapons have been used in armed conflicts in the Middle East before. Although Egypt had signed the 1925 Geneva Protocol, Egyptian forces used chemical weapons widely in their support of the republican forces in the Yemen Civil War (1962-1967) with very few international outcries. As a result of the lack of any sanctions against Egypt, Syria requested Egyptian technical assistance in developing its own chemical weapons capabilities shortly after 1967 - well before the al-Assad dynasty came to power. Humanitarian international law creates an obligation to maintain the protection of all non-combatants caught in the midst of violent conflicts as set out in the Geneva Conventions of 1949 and their Additional Protocols of 1977. Moreover, there is an urgent need to focus special attention on the plight of children. They are the least responsible for the conflict and yet are most vulnerable. They need special protection. The norms to protect children in armed conflicts are set out clearly in the Additional Protocols which has 25 articles specifically pertaining to children. The norms are also clearly stated in the Convention on the Rights of the Child, the most universally ratified international treaty. The Convention calls for the protection of the child's right to life, education, health and other fundamental needs. These provisions apply equally in times of armed conflict and in times of peace. As with the use of weapons prohibited by international treaty: chemical weapons, land mines, cluster munitions, the protection of children must be embodied in local values and practice. The classic Chinese philosopher Mencius, in maintaining that human were basically good, used the example of a child about to fall into a well who would be saved by anyone regardless of status or education. 4) The protection of sites and monuments which have been designated by UNESCO as part of the cultural heritage of humanity, highlighting the August 2016 decision of the International Criminal Court on the destruction of Sufi shrines in northern Mali. There is also a need to use whatever avenues of communication we have to stress to those living in Syria-Iraq-ISIS-Kurd-majority areas-and Turkey that they have a moral duty to disobey orders that violate humanitarian international law. We on the outside must do all we can to protect those who so act humanly in accord with their conscience.